Overall it was a good holiday we are .planning to return .. The only downside was noise coming from upstairs either by noisy plumming or selfish guests . Had a few issues with wifi connection . We had a great holiday. Great apartment beautiful beach. Lots of amazing food. Lovely apartment, perfect location, excellent terrace. In fact everything about this apartment was perfect! The owner Erika, was really helpful and made everything very easy.Would definitely recommend it! A wonderful place to stay. There is a supermarket downstairs with everything you could need, open until approx 11pm if not later in summer. Lovely apartment, excellent terrace with plenty of shade if you need it. Only suggestion I would make is we could have done with having an extra few pillows, everything else was perfect. Definitely recommend this as a great apartment with amazing views, lots of choice of bars and restaurants on your doorstep and Nerja is only a 10-15mins walk. Erika is also a very helpful host and answered any questions very promptly. A truly fantastic holiday! Erika the owner has been fantastic throughout replying to emails quickly and making the whole holiday a pleasure. The apartment is a good size with a sizable outer area to eat and drink while admiring the views and it is equipped inside to a very high standard with everything you could need being available inside. Very safe and secure premises . Would certainly recommend this property to any British guest and whilst the owner isn't uk based the whole process couldn't have gone any better and the location is superb for beach and walking. We stayed for 1 week in Tropicana 2 on 19 August 2017. When booking the apartment Erika was so helpful, would always reply within a couple of hours of me emailing her. 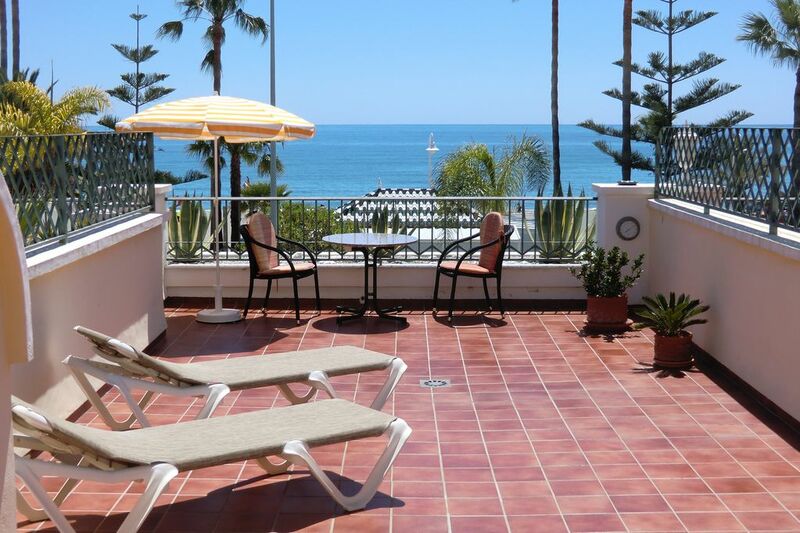 The apartment has everything you need, the terrace has an amazing view of the sea and is a great place to sunbathe. There are lots of lovely restaurants along the sea front. Will definitely be booking again for next year. Die oben genannten Preise gelten für das Apartment ( 2 - 4 Personen), inklusive Endreinigung, Handtücher und Bettwäsche. Wlan befindet sich kostenfrei im Apartment. Eine Zwischenreinigung nebst Wäschewechsel ist gegen Entgelt möglich. Nebenkosten der Langzeitmiete: Strom gem. Zählerablesung 0,35 pro kWh.